History of paper cutting goes back to ancient China where paper was invented in 4th century. Paper cutting was introduced as an art for decorative purposes. Paper cut-outs were used for religious rituals, decorations and as adornments for walls and doors. Paper cuttings hung near entrances were thought to bring good luck. With advancement in technology usage of paper cuttings has changed. The methods to cut paper have become technically advanced to create more intricate designs. Within years this ancient art of paper cutting took a modern form with introduction of laser cutting in 1965. Today, the position of this art has been upgraded from school craft to the sophisticated requirement of corporate world. Laser paper cutting has taken a form of business delicacy. It depicts creativity and professionalism. Businesses, big or small are trying to come up with ideas to blend it with their brand identity to render finesse. Gone are the days of bland business cards. Now you can leave a lasting impression on your visitors/clients with intricately cut business cards in a variety of shapes. You can even get your company name or logo cut into your business card with advanced technology of laser paper cutting. In this era of email correspondence, sending a greeting card seems like a thoughtful gesture to impress clients and business counterparts. You can enhance your business relationship with new and old clients by sending them unique laser cut holiday/seasonal greeting cards. Get creative with pop up 2D, 3D and architectural designs. Hang tags are a vital part of your brand identity. Customers take a closer look to check brand, material and pricing. A uniquely crafted hang tag is bound to get more attention and boost sales. With laser cutting, hang tags can be shaped to represent your brand in a distinctive way. Hang tag cut in a dress shape for a clothing brand, shoe shape for a shoe brand, company name and logo engraved in a hang tag will make it look extra special. Corporate dinners and lunches are an important part of team building process. These meals can serve purpose of thanking old clients or making new ones. Personalized corporate dinners exhibit how compassionate and loyal you are in your business dealings. Creativity and innovation in meal and arrangement will help you get remembered. Laser cut intricately crafted place cards with guest names written or carved in paper will help your guests feel welcomed. The process of laser cutting gives an extra special look to your otherwise ordinary printed invitation cards. You have planned an extra ordinary exhibition, its people who make an exhibition a success. To bring people out of their houses to pay you a visit is quite a difficult task. Aesthetically crafted invitation card is bound to get noticed and attract visitors to your stand. Laser cut designs on your invitation card will be a preview of what the clients should expect from your display. Promotional calendars are a clever way to remain in front of eyes of your customers. Since calendars are displayed for the whole year and serve the purpose of checking dates and days almost on daily basis, no other promotional item can give this much brand exposure. Whether it’s a desk or a wall calendar, laser paper cutting designs can turn them into pieces of art. Printing can be replaced with laser cut design and text. 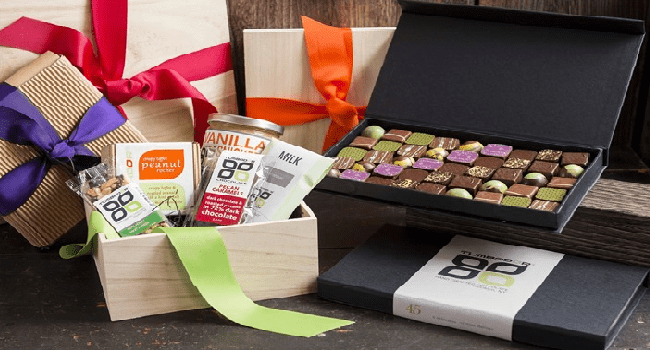 Corporate gifts are a great way to impress customers, employees and business counterparts. Personalized gift items like T-shirts, mugs, calendars, caps and clocks with your brand name printed on them are most common corporate gifts. Gift presentation is as important as the gift itself. Laser cutting offers a delicacy that cannot be achieved through regular gift packaging. A touch of intricate pattern cut into a gift box will make it extra special for the receiver.